Customers are getting the best of both the Windows and Linux worlds. Construction industry supplier, Building Systems, upgrades from Vigilant accounting software to Oneir Solutions’ Linux-based system to perform its accounting and inventory control and integrate with ZyTech’s advanced building specification application from Keymark. They sure don’t build them like they used to. At least not at ZyTech Building Systems Inc. based in Balzac, Alberta. Certainly, ZyTech provides top quality roof trusses, floor systems, and bundled lumber to builders of residential, commercial, and farm construction as other companies do. But for each project at ZyTech, building designers use engineer-approved software to select just the right engineered wood products to suit each builder’s plans. On the ZyTech shop floor, automated machinery speeds the precise selection, alterations, and packaging of builder’s orders. Small wonder then, especially given Alberta’s robust economy, that business at ZyTech is booming and indeed expanding beyond its somewhat remote Balzac headquarters – beginning with two new sales-and-design outlets in Red Deer and Okotoks, which are closer to major construction markets. Handling that growth was made much easier, says ZyTech’s controller, Ross Clements, thanks to the upgrade the company made from Vigilant to the similar but much more dynamic Oneir Solutions’ Linux-based accounting. Orders, for instance, can now flow in seamlessly via Oneir from their new outlets be passed on electronically to manufacturing on the floor at Balzac. “We’re in the process of expanding our business quite dramatically. But Oneir has helped us manage that very well. Perhaps the most important aspect of ZyTech’s business that Oneir has been readily adapted to, is the building specification software from Keymark Enterprises in Boulder, Colorado that ZyTech uses to streamline its business. Once that happens, Oneir Solutions then takes back command. In the past those mistakes could have been minor keying errors that could result in the major frustration of a construction delay. “It’s pretty easy to understand how a tired or distracted employee when transferring specs from one system to another could key in a 2 inch by 6 inch spec for a load of lumber instead of 2 by 4,” says Giggal. Now Oneir moves the sale along in lock-step with the KeyPlan specifications free from human error. Those quantities and numbers flow without needing re-entry and without alteration from the KeyPlan software on to the computerized saws, lathes, and other equipment ZyTech uses during manufacturing and from there straight through to accounting and inventory control, in effect tying all of the company’s systems together. 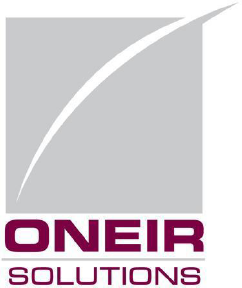 To help achieve that unity, Oneir system specialists worked with counterparts at both Keymark and ZyTech to add a customized single-view dimension to the Oneir software. “We can now see what we have on hand, see what’s committed to our customers, and therefore see what we need to re-order,” says Clements. “What also was very helpful in this whole process was that Oneir built a hook to our engineering design system (KeyPlan). So now what we can do is download a bill of material from the design system into Oneir and it will find the right product codes for every piece on that bill and commit what’s needed out of the inventory to that order. “Customers are getting the best of both the Windows and Linux worlds. It is this intimate integration of design and accounting systems that makes ZyTech manageable even in the face of rapid growth and expansion. Nor is there any confusion about the way that information is presented to ZyTech staff. Evidently, Oneir Solutions doesn’t build accounting systems like they used to either.